The number of song sparrows reported in the area is increasing as the southward migration picks up and the days are starting to grow noticeably shorter. 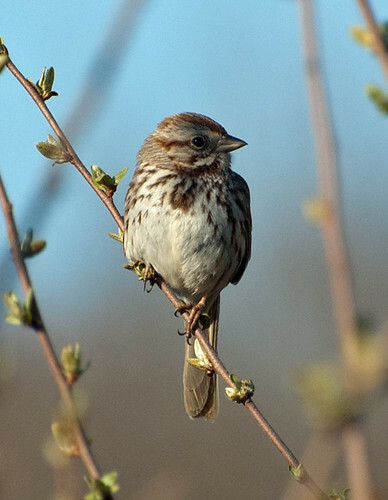 The song sparrow is a common bird throughout the United States, though there are some color and size variations by region. The photos shown here depict the eastern form and were taken this past April. Changes in length of day also spur the northern migration as well as breeding time. 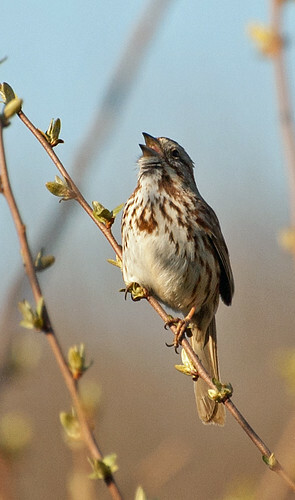 Male song sparrows are vociferous singers and sing to both attract mates and defend their territory. 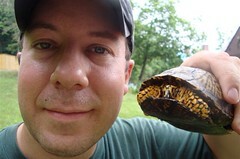 Notable field marks are heavy streaking on the upper chest often accompanied by a spot in the middle. 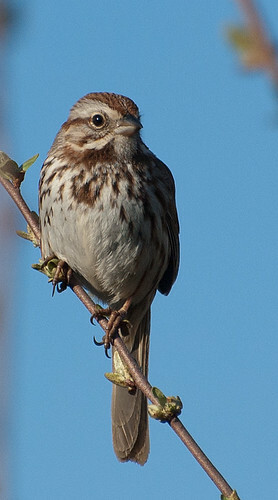 The head is gray with brown striping and the song sparrow’s tail is longer than many other sparrows. 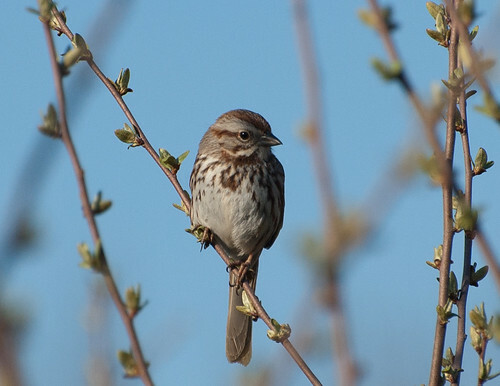 Though their diet is largely seeds and fruit, song sparrows are not opposed to the odd invertebrate (beetles, spiders, worms, and such) now and then. This entry was posted on 5 September 2013 by patacoate. It was filed under iPhone and was tagged with Song Sparrow. They like fruit jam, too! !